Come to Arizona and soak in the warmth of the abundant sunshine, melting away visions of shoveling snow and cleaning ice off the windshield of your car. You will experience an unforgettable week of expansive mountain vistas, peaceful desert scenery and a glimpse into the lifestyle of the western frontier. 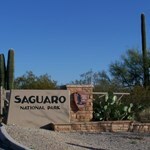 Saguaro National Park Officially designated as wilderness in 1976, this park protects some of the most impressive forests of saguaro cactus. 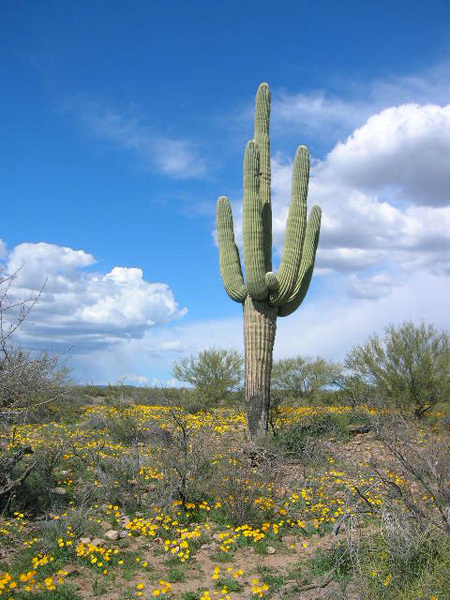 Although for many the symbol of the West, ... morethis mammoth cactus is only found here in the Sonoran Desert. Arizona-Sonoran Desert Museum A living breathing lesson in how to live in harmony with our surroundings. 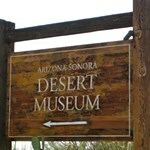 The museum offers more of a “zoo” like atmosphere for an up close look at life ... morein the desert. 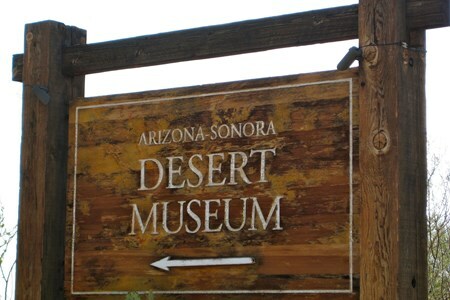 See more than 300 animal species and 1200 kinds of plants over the 21 acre property. The Forest Service was created in 1905 and began overseeing the area. In 1978, cars were no longer allowed in the canyon, helping to preserve its pristine nature. Bisbee This once Old West mining camp grew into a “metropolis” of its time. This community, founded in 1880, quickly grew to be the largest city between St. Louis and San Francisco. 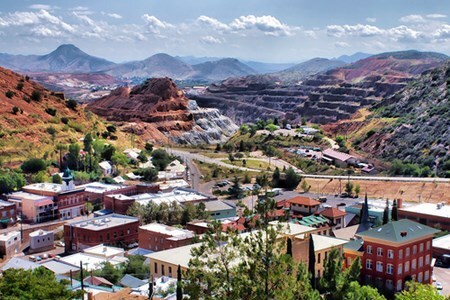 ... moreBut as the mining industry moved on, Bisbee has thrived as an artist’s enclave and continues to offer a glimpse of the past like no other place in Arizona. Tombstone This town, rich in famous history, speaks for itself. 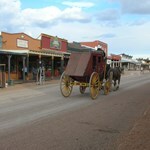 No trip to Southern Arizona would be complete without seeing the “West” as it was back in 1880. The town has done a ... moresuperb job of preserving their history and culture on the infamous Allen St, home to the OK Corral, Bird Cage Theatre and so much more. 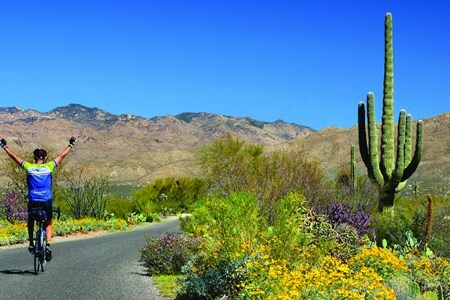 Arizona Cycling Tours is all about Arizona. We are a locally owned and operated bicycle touring company based in Tucson, doing what we do best, sharing our passion for cycling and ... moreour love for the Sonoran Desert. Let us guide you to an experience that you will not soon forget. 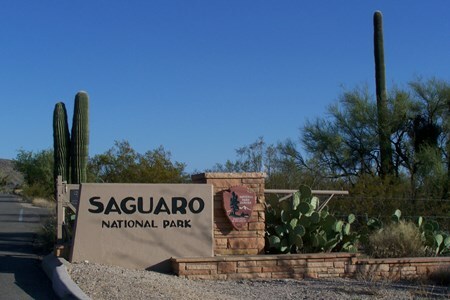 Come and discover the blue skies and bright sunshine of the Southwest as you ride your bike through forests of majestic saguaro cactus. Imagine what it was like for the first settlers trekking across the unknown of the desert and gaze upon an endless Arizona night sky. 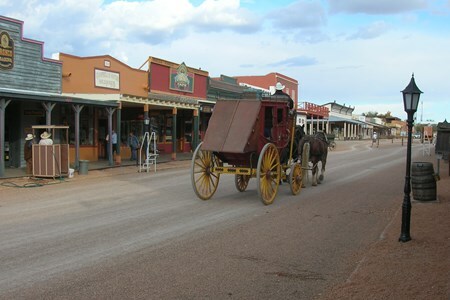 Saddle up on your trusty two wheeled steed as you cross the Arizona territory and explore such places as the historic mining town of Bisbee, southern Arizona wineries, and a Spanish mission just to name a few. 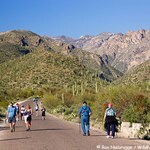 At Arizona Cycling Tours, your tour guides are not only local experts but are also the owners. Gary and Jessie Menard use their combined 40 plus years of cycling experience to show you a way to enjoy our state on roads a little less traveled. You will relax at only the best accommodations and indulge in the area’s finest dining. 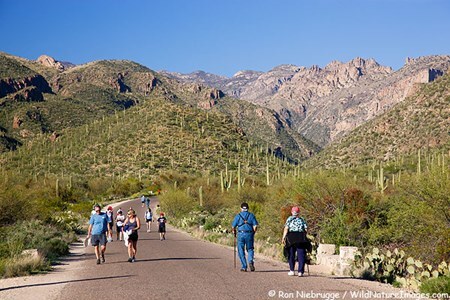 From the glorious mountains surrounding Tucson, to the sprawling pastures of Sonoita and the soothing beauty of the Huachuca Mountains, your heart will forever be etched with memories of spectacular sunsets, rolling desert landscapes and good times with new friends. LizardAt Arizona Cycling Tours, we keep our groups small. It is paramount that we give unsurpassed customer service to every client on our tour. Jessie is in charge of two support vehicles while Gary is riding amongst the group on the road. There are various mileage options available on most days and of course the van is always on hand to provide a break or a ride to the next lunch spot. 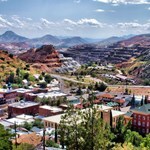 Picture yourself relaxing under the sun in the old mining town of Bisbee, enjoying a well-earned lunch. Mmmmm, don’t be shy, because unfortunately, it doesn’t travel well in a jersey pocket. When you come to southern Arizona, expect life to slow down just a bit, allowing you to relax and enjoy the many adventures under the sun!